If you’re looking for the perfect place to stay in Darwin, look no further. Stay at Kalidonis Hotels. We offer four excellent apartment-style hotels in the area, all conveniently located and luxuriously comfortable. Choose the hotel that fits your needs, and get ready for a great stay in Darwin. We offer four options for our guests, from the quiet and affordable studio apartments at Kalidonis Village to the brand-new Kalidonis Luxury Apartments. Learn more about our hotel accommodations in Darwin to find the place that works best for you. All of our hotel options are conveniently located. We’re only a 15-minute drive from the Darwin airport, making traveling easy and stress-free. We’re also right next to beautiful parts of the city with alfresco dining, lush parks and great retail outlets. Whether you’re here for a business meeting or for a vacation, you’ll find everything you need right next to your hotel. Darwin is the perfect place to stay, with its beautiful landscape, year-round summer weather and dynamic urban scene. At Kalidonis Hotels, we offer the high-quality and comfortable accommodations you need to fully enjoy everything that Darwin has to offer. 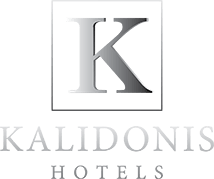 If you have questions about Kalidonis Hotels in Darwin, get in touch with us. Give us a call on 08 8988 0444, 0438 682 273 or send an email to reservations@kalidonishotels.com.au. We’ll be happy to answer your questions about our hotel accommodations, and we hope that you’ll be our guest here in Darwin soon. Set in the heart of the Darwin CBD and only a 10 minute walk from pubs, bars and restaurants, Kalidonis Village will be your home away from home on your next visit to the top end. On the brink of the existing CBD and nestled between the Stuart Highway and Tiger Brennan Drive is Horizons on Harvey, the perfect stay for business or pleasure. Our newest development, Kalidonis Luxury Apartments is nestled on the outskirts of Darwin city, this apartment is in prime location minutes away from the CBD. Kalidonis Boutique Apartments is soon to be under construction and will comprise of 40 x 2 bedroom Apartments, 37 studio Apartments, Gymnasium/kids play area, Pool and Restaurant. Enjoy a range of activities to do in Kakadu National Park, from discovering ancient Aboriginal rock art to road tripping through Nature's Way or swimming in the twin falls! Litchfield National Park is home to several stunning waterfalls that cascade into crystal clear pools, iconic magnetic termite mounds and clusters of weathered sandstone pillars at the Lost City. Visit Crocosaurus Cove and experience a unique, up close and personal view of Australia’s iconic Saltwater Crocodiles.